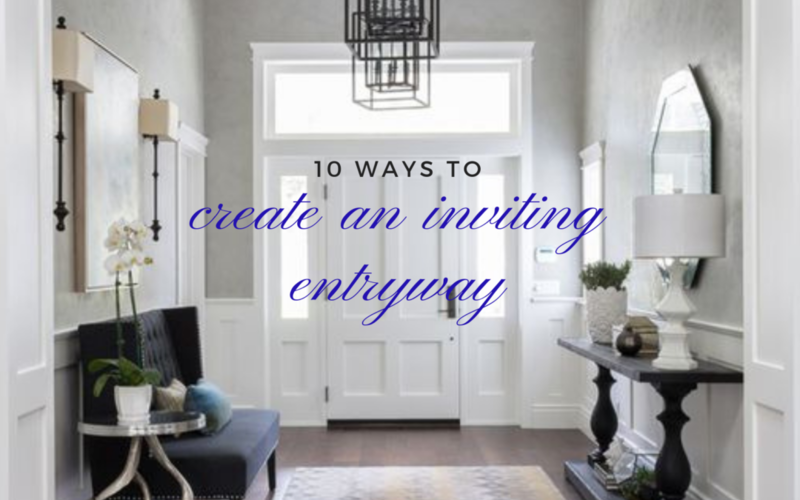 Entryways are the first thing people see when they enter your home, and sometimes the only place they see. That first impression is an important one. It sets the tone for the rest of your home. 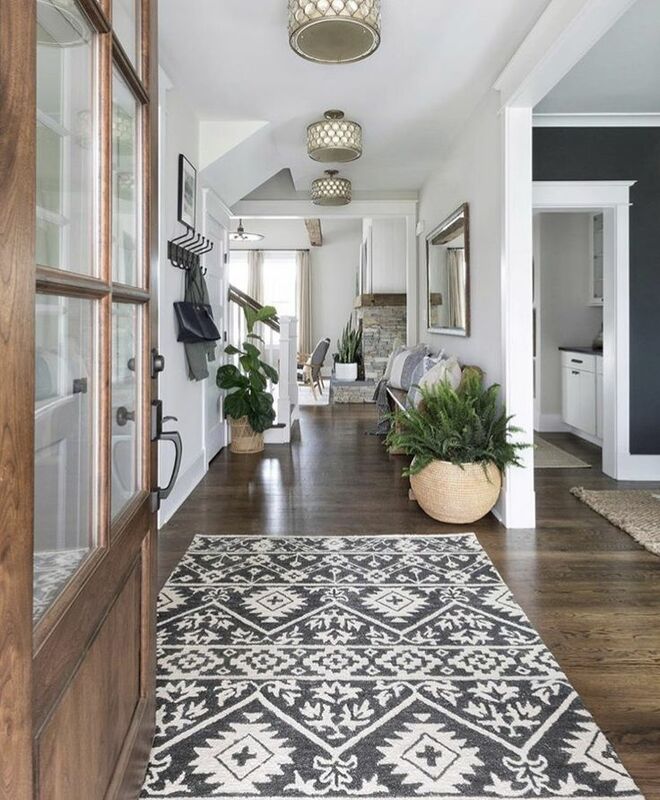 If you feel that the space next to your front door is a little lacking, here are some ideas for making it a little warmer for guests and making you a little happier as soon as you walk through the door! Make it easier for your guests to remove their shoes by giving them a place to sit. Your seating choice can be a perfect transition piece into the style of your home. A subtle bench, a comfy chair, or some stylish ottomans can be found for any size entry! 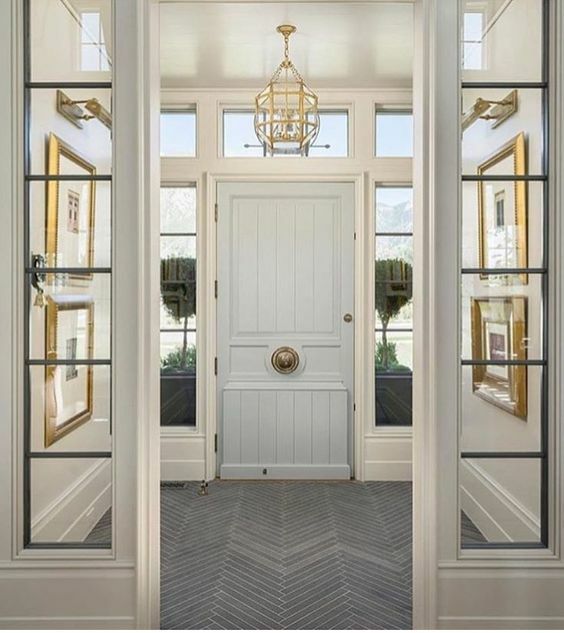 Adding a mirror to your entryway is a great way to capture light and brighten even the darkest entry! Mirrors make spaces feel larger and more open. And who doesn’t like to do a little last minute primping on the way out the door?? Don’t underestimate the power of a rug! It can add brightness and warmth with rich colors or fun patterns. It defines the space and brings even small rooms, like an entry, together. A rug will add softness as you welcome people into your home. But be sure to choose one that can stand up to high traffic! When you walk into a grand entry, a tiny little table pushed to the side, would look silly. Small entries will feel overwhelmed with large pieces of furniture in your path. 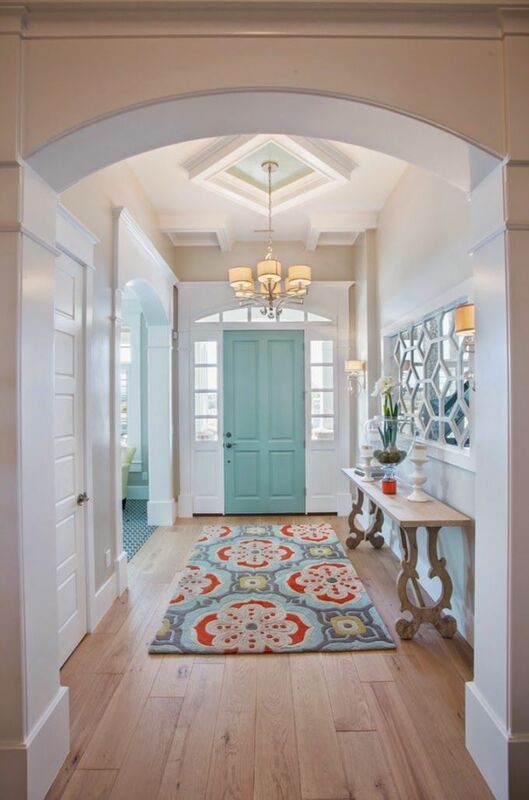 When designing your entryway, from large to small, it is important to scale your pieces accordingly. You can add personality and perfect touches, no matter the size, that will make anyone coming in feel welcome. While there are many touches that can make a space more inviting, there is one immediate factor that will be noticed before all else: Clutter. Keep this area feeling spacious and clean. This may be the only part of your home that some people see. 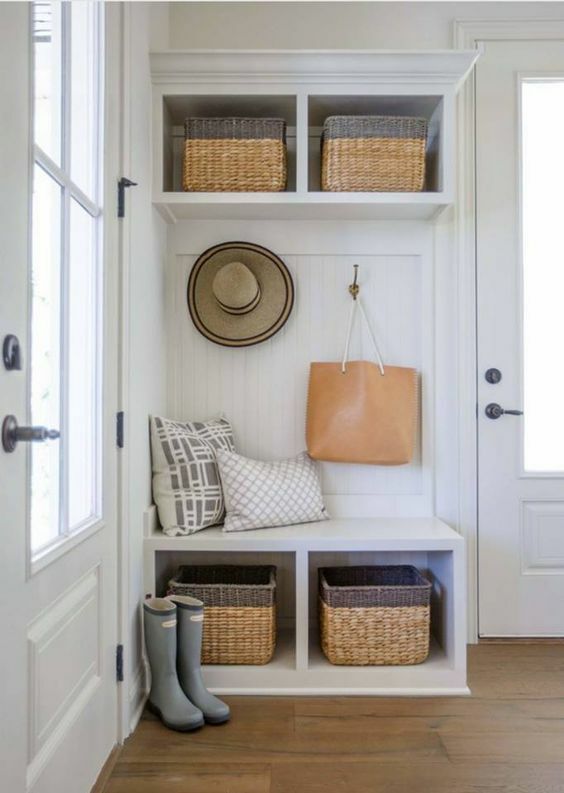 With clutter in mind, an easy way to eliminate the biggest culprits – keys, mail, sun glasses, etc – is to find a home for it right in the entryway! 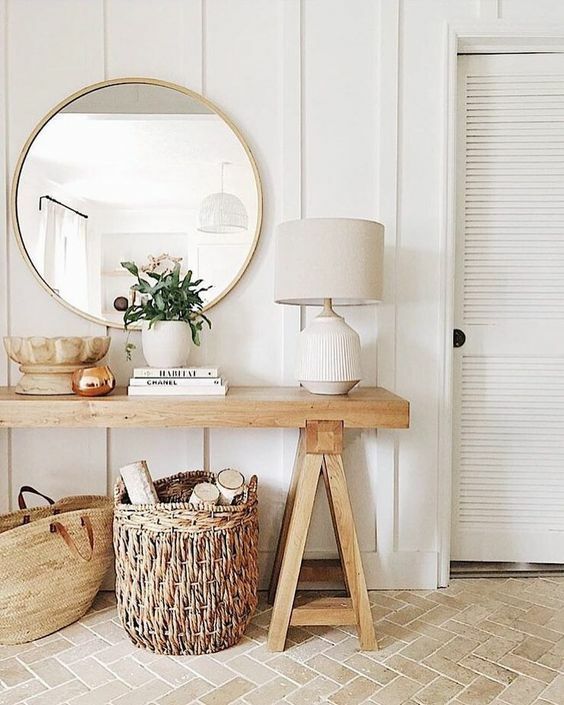 A table with drawers, decorative baskets, detailed boxes, are all wonderful ways of disguising things that get dropped when coming in the front door. As my mother always said, a place for everything and everything in it’s place! The fastest and easiest way to add elegance and style to your entry is a vase of fresh flowers! 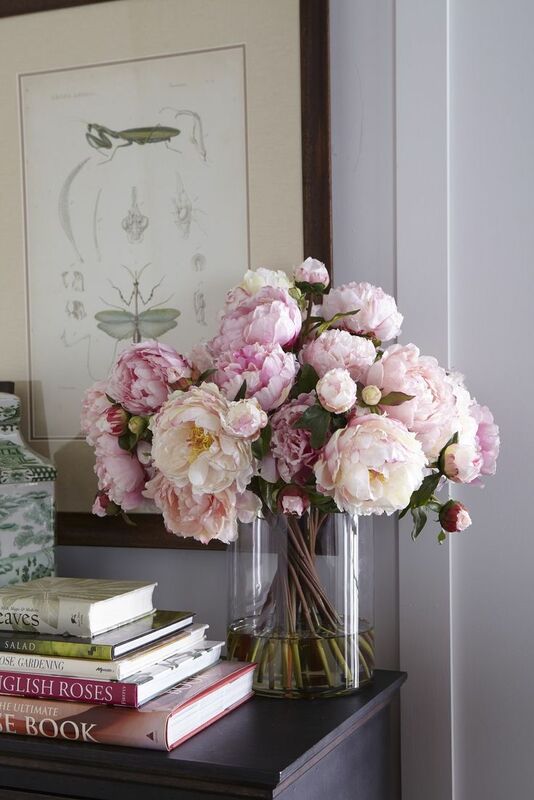 Beautiful, natural, and the perfect transition from outdoors to in, flowers are the epitome of welcoming. Your home is meant to be a place of comfort and scents of cinnamon, oranges, flowers, and vanilla are some of the most comforting aromas. 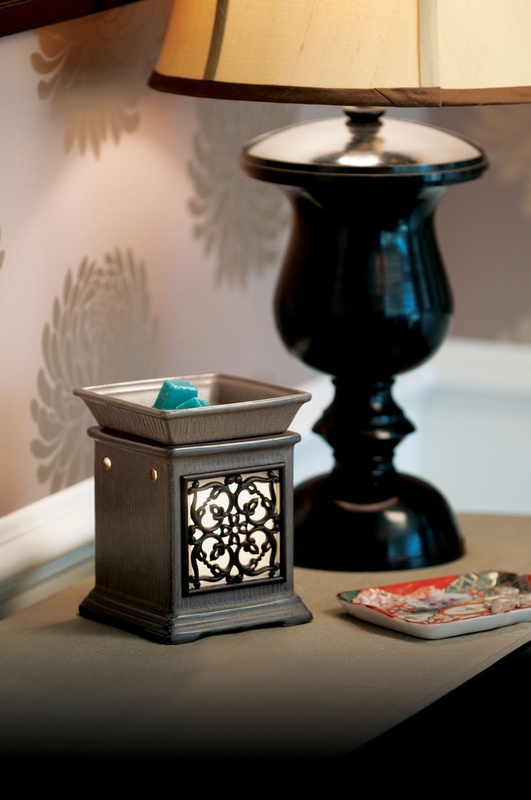 Candles and wax warmers near your entryway are a great way to infuse pleasant scents as guests enter. While there are a number of things you can implement for a more inviting entry, it’s important to remember the practicality of the space. You may envision an Instagram-worthy foyer, but if your kids are dropping backpacks next to the door everyday after school, that look may be a challenge to maintain. Have a place for guests to hang coats, shoes to be stored, and keys to be hung, and build your inviting designer entry around your needs.